In January, this is the only outfit to wear to work because it's cold and you're feeling blue. It's freezing and it's raining and you've got the January blues. The last thing you want to think in January is about is what to wear to work. But, unfortunately, you do need to think about it. Every damn day. I know what you want to wear. Comfy pants and a big top and slippers - you want a sartorial hug. So that's what you shall wear. For the most miserable month of the year, there is no reason to do things that make it worse. Things like exposing your foot without a sock on it *shiver*. Or wearing a shirt without a jumper over it *brrr*. Luckily, it's the early days of 2019 so we can make like 2018 and continue to dress for comfort. This means that this work outfit is perfectly acceptable; chic and snug (but also professional). You can wear multiple versions of it without looking like you're wearing a uniform (if you're not into that sort of thing), and you'll still look professional. 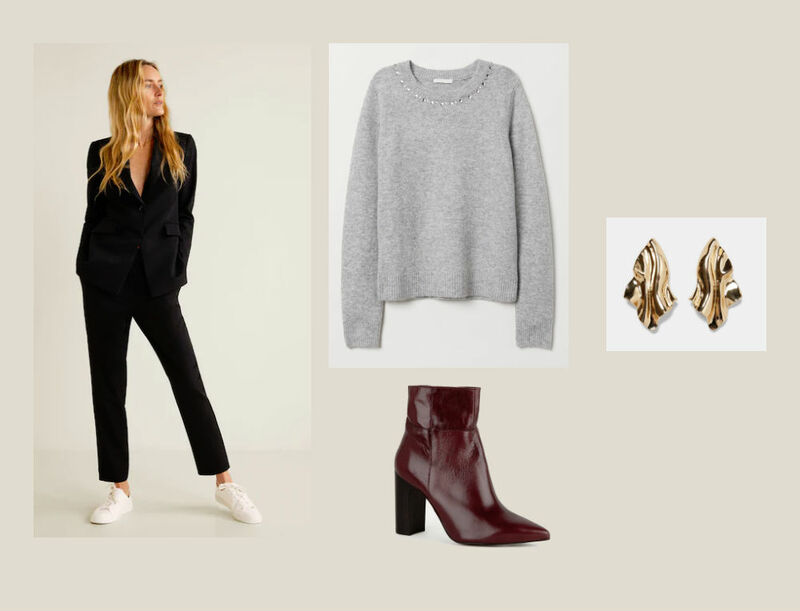 Plain straight-leg pants (not jeans), a chic jumper and pointed ankle boots. If it's very chilly out there, wear all the layers under that jumper. In fact, we'll be wearing something slightly oversize to accommodate the layers. Throw on your smart work coat and a big scarf and you're all set. Is this something you can see yourself wearing to work?